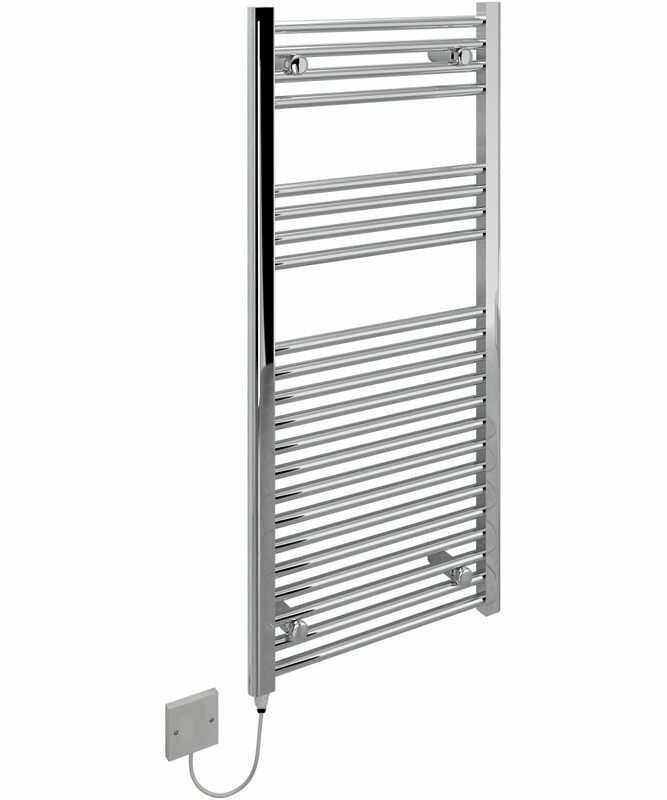 The Kudox Thermostatic Electric Towel Rail has a beautifully designed controller. It will give you control over the heat of the product and allow you to turn on the towel warmer for 2 hours and have it automatically go off. The thermostatic controller has intelligent LED sensors which will indicate the mode at which the towel warmer is operating. This product will not only keep your towels crisp and warm but most of all it will be a great addition to any bathroom. 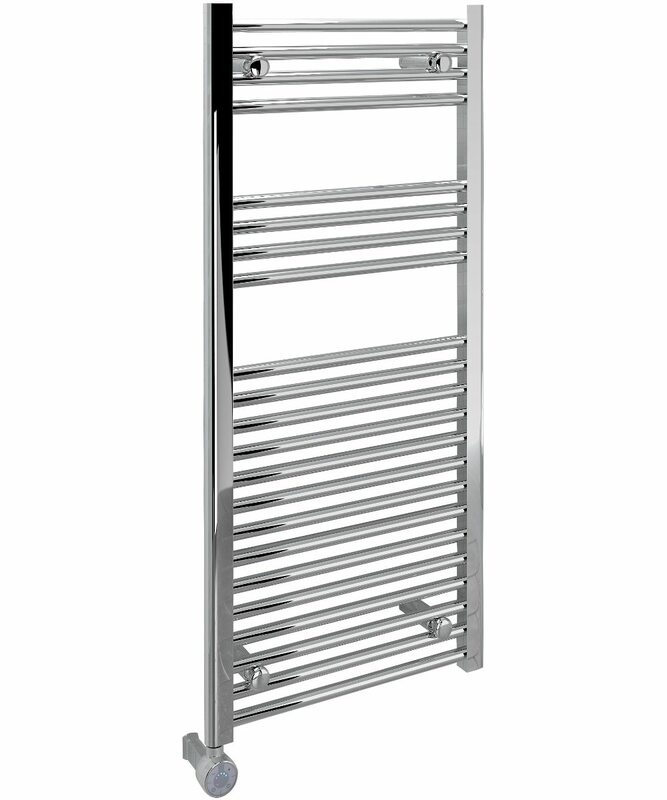 The towel warmer is manufactured under the tightest standards and a unique chrome plating finish. Thermostatically controlled for energy efficiency and eco features. 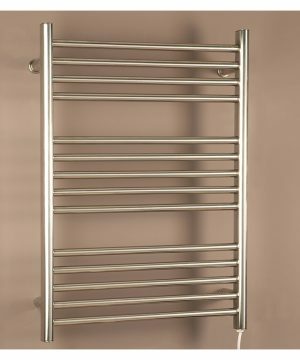 You can install this towel warmer on a stand-alone basis to function independently from the central heating, this means there is no requirement for expensive pipe and plumbing work. The towel rail can be operated independently during the summer months without having to turn on the full central heating system. This means you can have warm towels all year round with the touch of a button. This not only means having a warm bathroom but it will be reflected on your electric bills as the product will only function when you actually require it to. 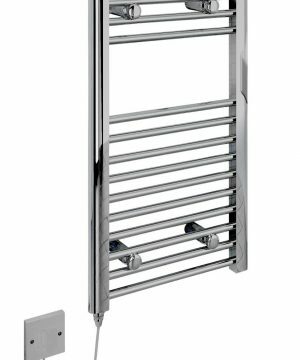 You can operate the towel rail during the summer months without having to turn on the full central heating system. This means you can have warm towels all year round with the touch of a button. You will have a warm bathroom and the saving will be reflected on your electric bills, because the towel rail will only function when you require it to. 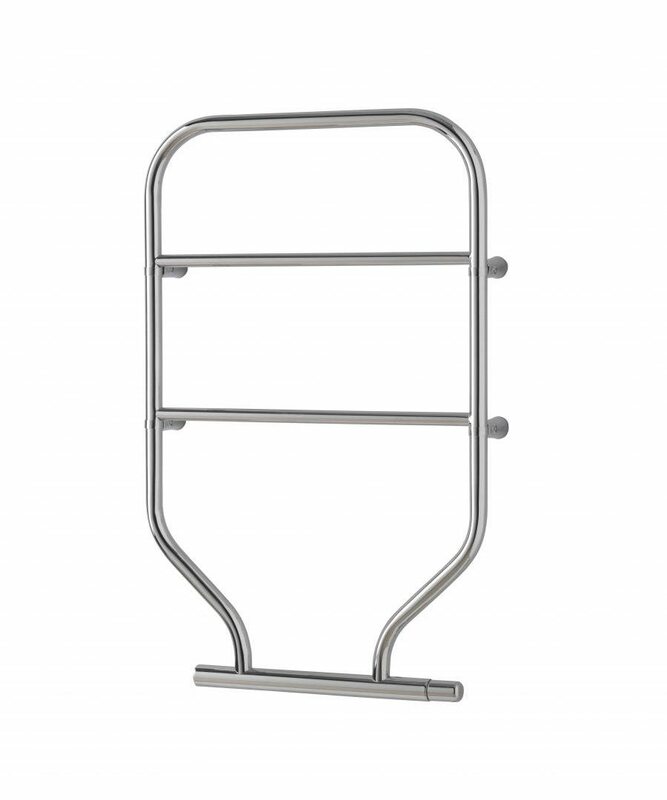 The Kudox Thermostatic Towel Rail is rated IP55 and is rated for installation in IEE Bathroom Zones 1 & 2 along with all areas outside the zones. 1. During the standard operation press once and select your desired temperature setting, After 2 hours the device will revert back to its previously set temperature. 2. With the device OFF, turn on the towel warmer by pressing the timer button. The thermostat will be on and then automatically turn off after 2 hours. You can also press the ON-button at any time to exit timer mode. 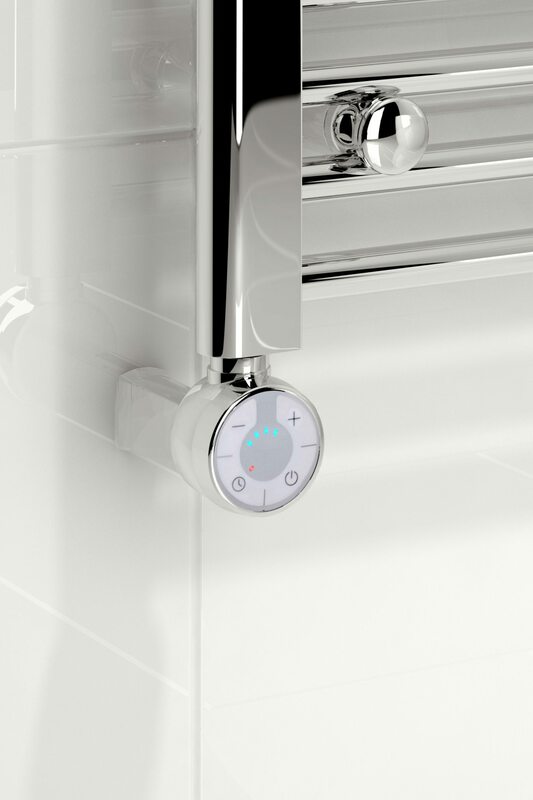 If the liquid inside the towel rail drops under 6°C the thermostatic controller will switch on automatically to prevent frosting. All Kudox electric towel warmers come filled with their unique thermodynamic fluid which helps an even distribution of the heat throughout the product and also does a timed release of the heat to preserve the temperature of your towels and bathroom for longer. This towel warmer is also equipped with an extra safety thermostat, as a result in the unlikely event that the main controller fails a secondary thermostat will be activated to prevent the towel warmer overheating and creating any potential hazards. All Kudox Electric Towel Warmers come with a 1 Year Manufacturer’s Warranty. 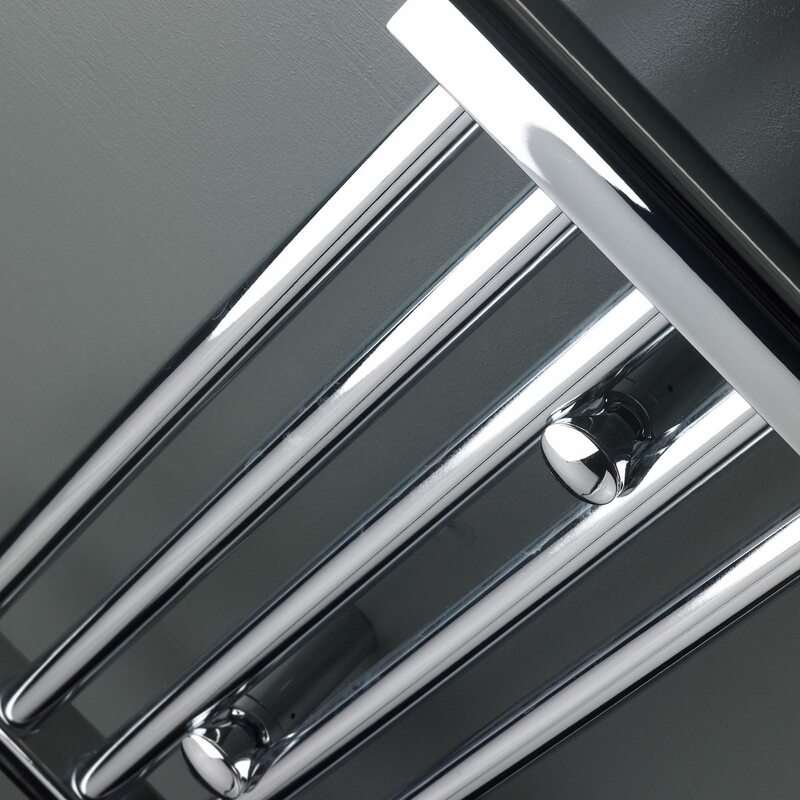 Our extensive collection of Kudox towel rails includes models in chrome and white, with straight and curved bars, and a range of sizes from 70w to 600w. Great product and easy to fit. Warm towels and a happy wife!